When you're traveling, there are all sorts of numbers to keep track of. If you're driving, how many gallons of gas will you need for the distance you have to cover? How much will those gallons cost you at the pump? If you're going by plane, you'll need to juggle flight schedules. If your plane is delayed by 3 hours, will you be able to make your next connection? And what about if you travel to another country where they use a different kind of money? Will you be able to figure out how to change the money you brought with you into the currency of the country? Will you be able to set your clock back the right amount when you travel across time zones? 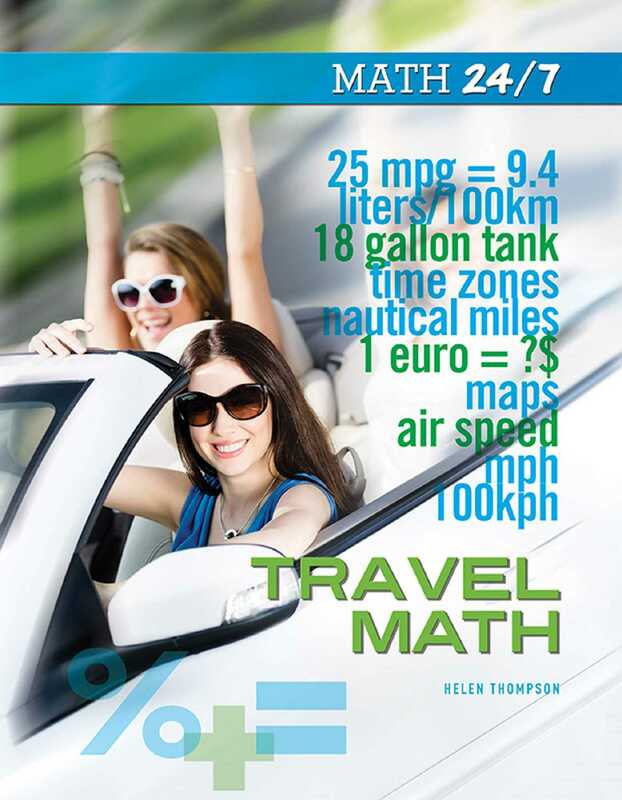 Travel Math will help you do all this and more!